Suit Up! Will You Be My Groomsman, Groomsmen Proposal Box, Personalized Gift Box for Groomsman Proposal. Will you be my Groomsmen? Announcement Happy New Year! We are in the process of adding new items. Sunglasses and Bottle Openers for Groomsmen Gifts and Personalized Floral Robes for Bridesmaid Gifts! Happy New Year! We are in the process of adding new items. Sunglasses and Bottle Openers for Groomsmen Gifts and Personalized Floral Robes for Bridesmaid Gifts! 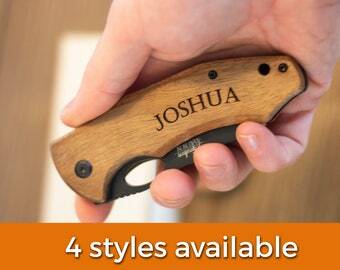 Groomsmen Gift Knife- Personalized Groomsmen Gift Pocket Knife, Engraved Groomsmen Knife, Monogram Groomsmen Gift, Rustic Groomsmen Gift. 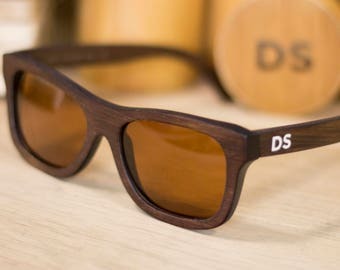 Groomsmen Sunglasses - Polarized Wooden Bamboo Sunglasses as Groomsmen Gift, Personalized Gift for Him or Wedding Gift. 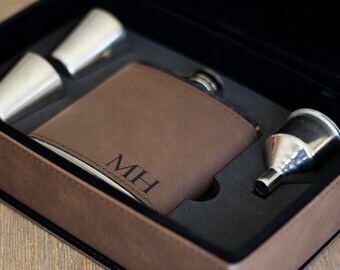 Groomsmen Gift for Groomsmen Proposal - Leather Engraved Groomsmen Flask with Leather Groomsmen Gift Box. Groom Gift from Bride. Gift Set. 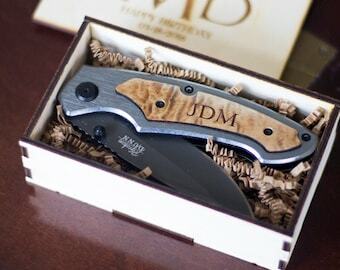 Groomsmen Gift - Gunmetal Knife as Personalized Groomsmen Gift - Suit Up, Be my Groomsman Personalized Knife Gift Set. Bachelor Party Gift. 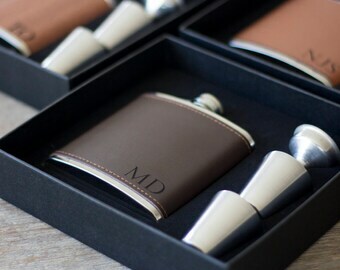 Groomsmen Proposal Brown Leather Flask and Groomsmen Gift Flask. 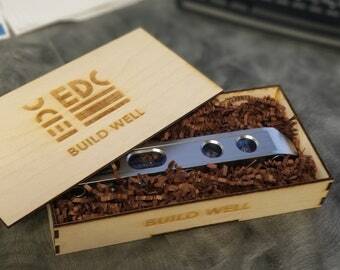 Personalized Groomsmen Gift. Be my Groomsman, Be My Best Man. Personalized Groomsmen Flask as Groomsmen Proposal and Groomsmen Gift. Leather Flask Groomsmen Gift. Groomsman Proposal to Be My Groomsman. 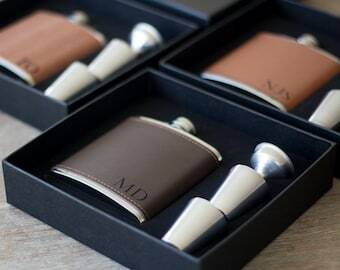 Personalized Flask Groomsmen Proposal! Suit Up! Be My Groomsman, Groomsmen Flask, Groomsmen Gift Flask as Groomsman Proposal Leather Flask. Looks amazing on the wood grain! Thank you so much! He loved it! New knife style added to the shop today! New Personalized Darth Vader 8oz Flasks! Specializing in laser engraved personalized groomsmen gifts. In our small South Jersey workshop, Lasers -N- Stuff specializes in laser engraved personalized gifts. 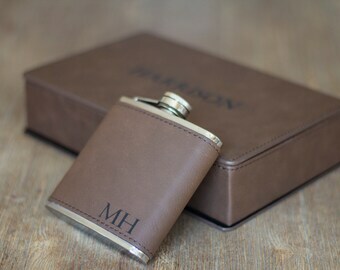 We offer personalized gifts for grooms, groomsmen, fathers of brides/grooms, ring bearers, etc; the entire wedding party. 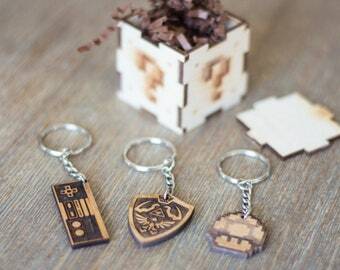 We also have a small collection of other gifts for men. I have taken the time to source some of the best quality Knives, Flasks, Leather products, and Sunglasses to be personalized for your bridal/groomsmen party. I also hand make personalized wooden boxes gift boxes and wooden Cufflinks here in my shop. Please check our feedback and reviews: Men love the quality of my products and the women love the presentation. If you are looking for some really nice hand made practical and personal gifts, please check out my shop! Send a message if you have any questions or special requests and I try to accommodate them.